The front of the t-shirts/hoodies reads "Superheroes are Adopted Too!" complete with a superhero cape on the S! 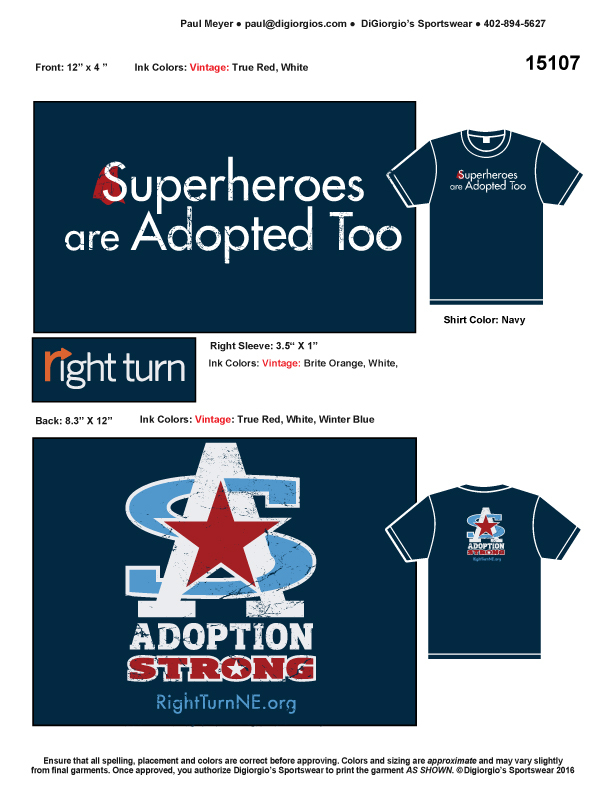 The back of the t-shirts/hoodies includes a star logo with the words "Adoption Strong" in red, white and blue. The Right Turn® logo is located on the sleeve. All proceeds go to Right Turn. Online ordering is not currently available. To order, please email us at RightTurn@RightTurnNE.org or contact Amy at 402.657.7794. Shipping is a flat $6.